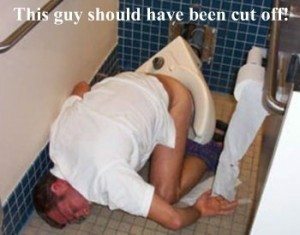 Cutting someone off from drinking can be a painful experience. For some reason or other, cutting someone off, meaning telling them in some way or another that you are not going to be serving them another drink, is tough for bartenders to do. Even if the guy is a prick, it doesn’t make it any easier. Sometimes, it makes it worse, as these are usually the guys that are going to argue about why they’re being cut off. Some bartenders have trouble cutting people off because they are intimidated by the customer, don’t know how to say it properly, are afraid of what the customer (especially a regular customer) might say, worried about bar sales, repercussions from the owners etc etc. The reality is, however, that none of the above matters. Countries around the world are adopting stricter liquor laws. 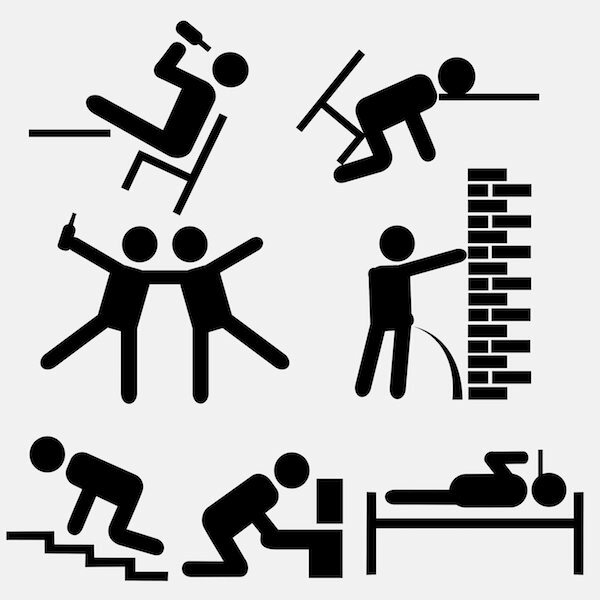 In Canada, it is illegal to serve someone past the point of visible intoxication. If you over-serve a customer and that customer say, falls, trips, slips, gets caught driving drunk, or, heaven forbid, hits and kills someone while driving drunk, YOU, the bartender, will be responsible. And if you don’t live in a country with strict liquor laws, you still have a moral responsibility towards your guests and their safety. Cutting the prick off may just be the best thing that you can do for him. No one wants to be cut off; but when done correctly, it saves face and lives. And, more often than not, the person you cut off will apologize for their behaviour the next time they come into your bar. That being said, here are a 4 tactful and professional ways to cut someone off at a bar. Choose one that works for you and change it to fit your style. 3. On Your Own: “Listen, I think you’ve had enough to drink already. I wasn’t going to give you the last one but I did because you seem like a nice guy / girl who just wants to unwind and relax a little. But I can’t serve you another one or I’ll lose my job. Here, take a bottle of water and go enjoy the rest of the night with your friends, just don’t let me catch you sneaking drinks ? Keep in mind that no approach works every time. You are going to get some people that just don’t want to be cut off, don’t think they’re drunk, or are too drunk to know what’s good for them. If there are ever any problems cutting off a customer, get the owner or the manager to handle it – that’s what they’re there for. They will get better results and it’ll free up your time to continue providing outstanding service to the rest of your guests. We hope this has given you some insight and confidence the next time you have to cut someone off at the bar. Cutting someone off from drinking is not always fun but 9 out of 10 times, the person will thank you for it later (and the 1 out of 10? He just can’t remember what happened at all – otherwise he’d apologize profusely as well we’re sure). If you have an experience to share cutting off a patron, share it with us in the comments below. 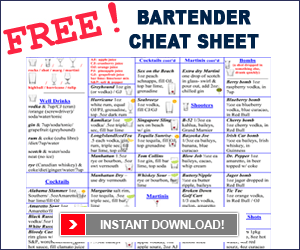 If you learned something, please share this page and our site so that other bartenders may learn as well.